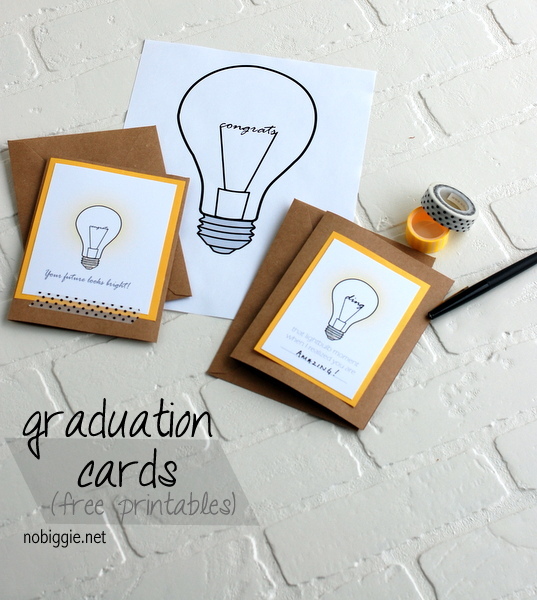 As promised, here are the fun free printable cards to go along with the Bright Future graduation party I shared yesterday. 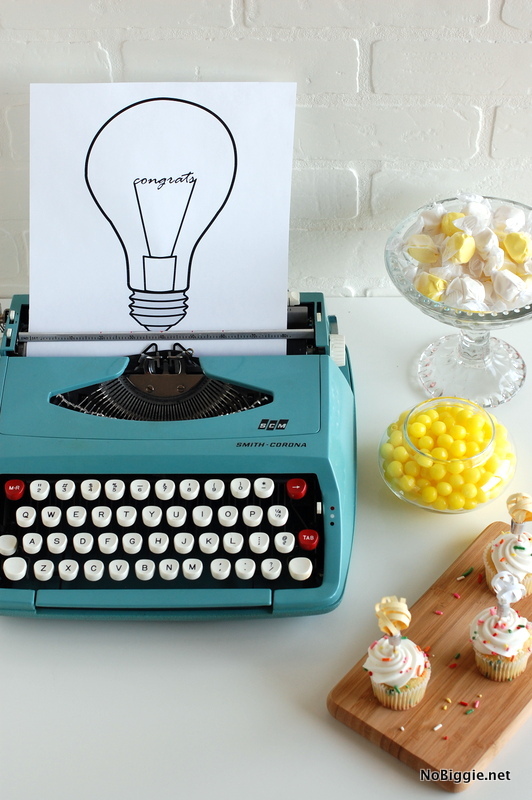 There are three different printables, two of them are cards and one is a full 8 1/2×11 that you see here in my blue typewriter. 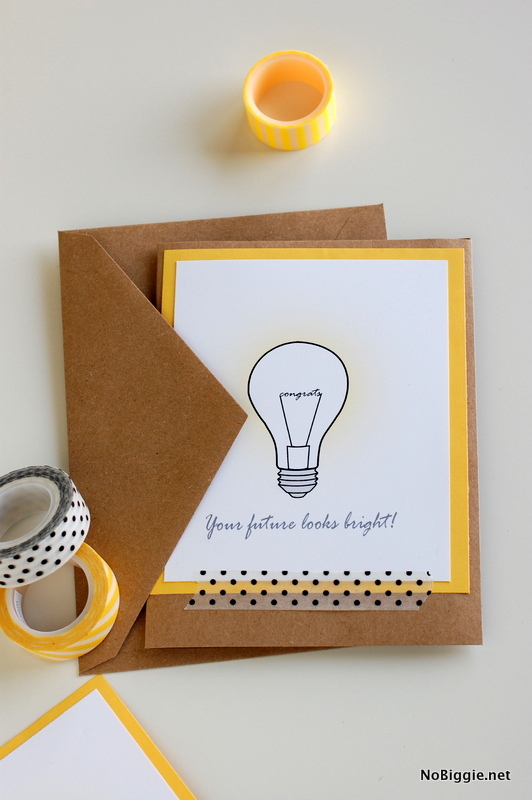 The fun thing with these printables, is that you can make them your own. You could make gift tags, treat bag toppers, or cards. I mounted them on simple bright yellow cardstock to bring out the yellow in the print. You can also embellish them how ever you’d like. A little washi tape is always fun. 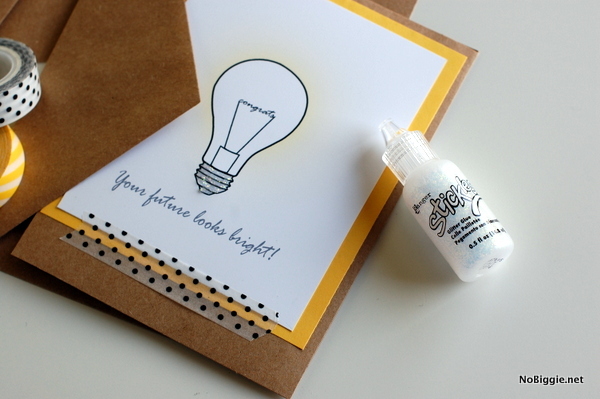 I also added a little bit of dimensional glitter glue to the silver/gray part of the lightbulb. 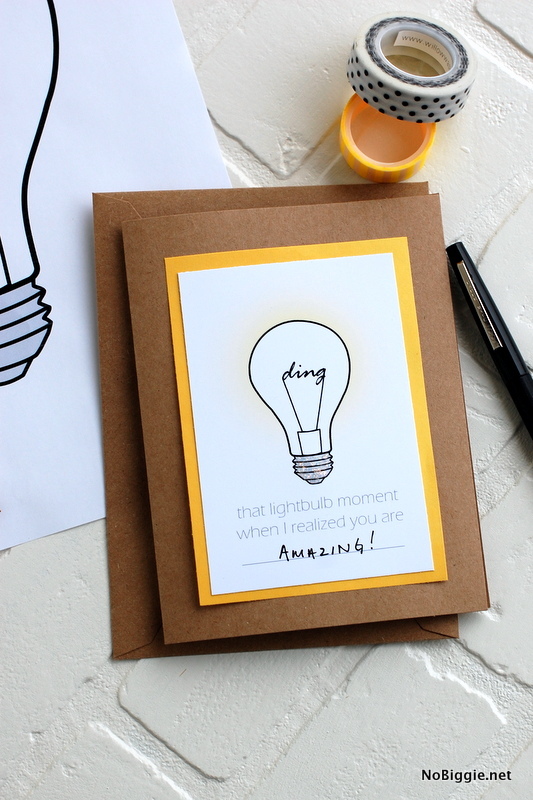 I love this one with the word “ding” in the lightbulb. When you print it out, the words are a little different than this picture (below). It now reads: that moment when I realized _______. This way you’re not limited to what you write in your fill in the blank section, and it doesn’t have to be a gift. You could keep it for your office bulletin board. Thanks for stopping by! *Please note all printables on NoBiggie are for personal use only. So stinkin ‘cute Thank you SO much! Oh great!! Thanks for saying Hi! Happy Graduation! !